Okay, terrible title. But, who cares? Hopefully, those of you who have played Night Watch Island have noticed all these amazing new clothes and are enjoying them. And, for once, this is a new feature that both members and non-members can fully enjoy. So, if you’re a member, what are you waiting for, go out there and get customizing! …Just ignore that last sentence. That was my failed attempt at ending a post successfully for once. Before I completely end this post, there are a few things that I need to tell you about. 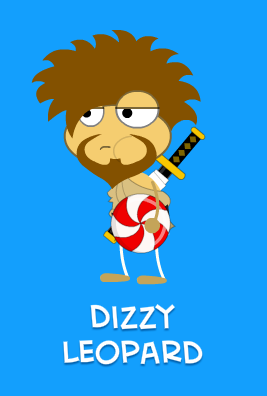 First, is that I’m going to add the Zomberry Island guide and Night Watch Island guide (both of which written by Samwow5) really soon. It might be a few days, but I promise I’ll get around to it! And, secondly, I’m working on a post that basically is about all of the important things that happened while I was gone. I’m in the middle of that, so I should be done with it pretty soon. Check back soon, and you’ll probably (more like hopefully) see them up! With Zomberry Island coming closer, and closer, the more we are learning about how this tragedy came to happen. The story is being told through comics, called Zomberry: Day Zero. There are a total of six comics. The fifth comic was released yesterday, with the suspense getting more…well…suspenseful with every second. 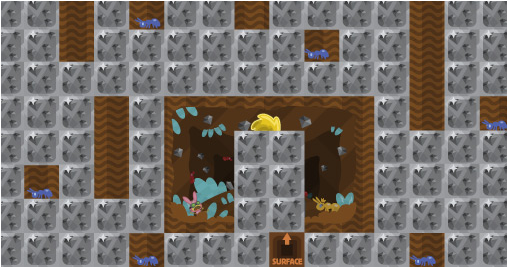 Take a look below to see the fifth addition to Zomberry: Day Zero. It seems that the zombie’s only weakness is light. Why am I not surprised? The sad thing is, there’s only one comic left. And the even sadder thing is, we don’t get to see it until Monday. That means a whole weekend of wondering where Joe Puddy has run off to at the end of the comic… Fun. You might already know about how the Creators are releasing a series of comics telling about how the disaster on Zomberry Island all began. Two have already been released, and the third was released yesterday. Hopefully we’ll find out more real soon! Edit: The guide to the bonus quest has now been added to the guide! The guide to Charlie and the Chocolate Factory is now up! It was written by Samwow5. Thanks so much to him for letting me use it! Click HERE to see the guide. A guide to the bonus quest will soon be added to the guide, so make sure you keep checking back! Also, make sure you take a look at the Guides page and the Video Guides page for some more awesome guides! As you probably already know, Charlie and the Chocolate Factory came out for members on the 15th. 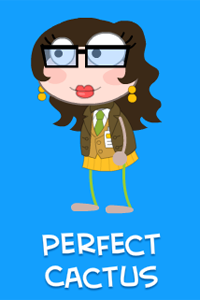 And, of course, that means another one of the Creators’ posts, congratulating those Poptropicans with super-human (or super-Poptropican) powers who somehow managed to beat the island before anybody else. 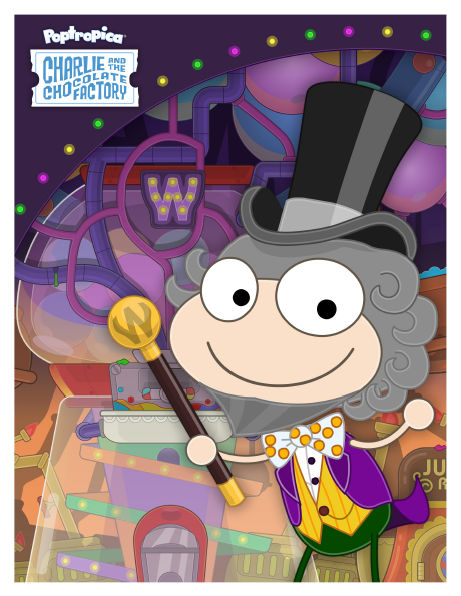 Charlie and the Chocolate Factory has been available to Poptropica Members for a little over a day now, and already thousands of you have turned a golden ticket into a gold medallion. 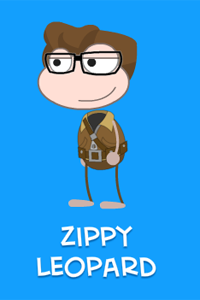 Once again, we’d like to extend special congratulations to the Poptropica players who finished just a little quicker than everyone else. 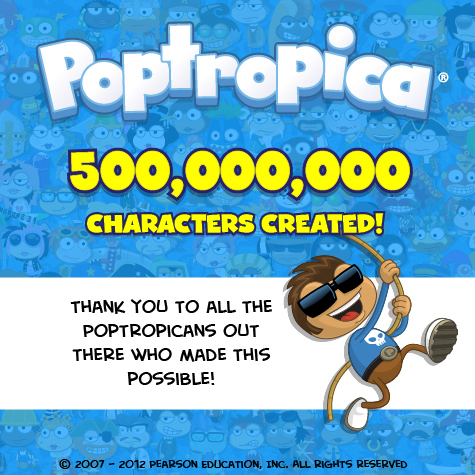 Congratulations to all you amazing Poptropicans! I don’t know how you managed to do this, considering I haven’t even looked at Charlie and the Chocolate Factory’s icon on my map yet. As you can tell by the title, we have a lot to talk about! If you’re still stuck on our latest free Island, Lunar Colony, you’re in luck: You can now download the Lunar Colony guide in our official walkthrough app for FREE! 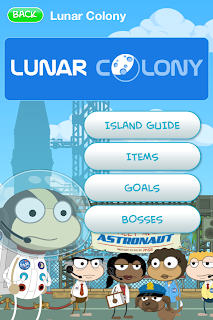 The Lunar Colony guide is available now for Apple iOS devices, and will be available soon for Android devices. 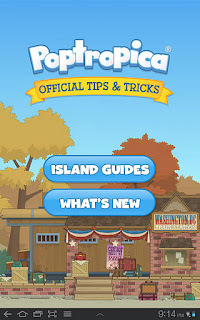 If you have an iPod Touch, iPhone, or iPad, download the updated Poptropica Tips & Tricks app from the App Store. 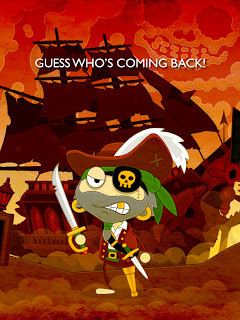 If you have an Android-powered phone or tablet, download the updated Poptropica & Tricks app from the Android Market. Then, open it up and select your free Lunar Colony guide to download the guide — and then get to work! I’m a little worried about the part in Captain Crawfish’s post where he says “our latest free Island”. It’s the “free” part that gets to me. The Creators aren’t going to make us start paying for islands, are they?!?! Second on our little list of things I’m going to tell you about, is the release of a certain little island. Super Villain Island was released to everyone yesterday (October 18th). Here’s the trailer just for the sake of taking up some more room in this post. 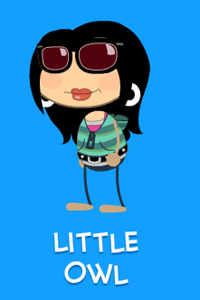 Now, I knew that Poptropica is a really big online game. But it turns out that it’s a lot bigger than I thought… Check this out! 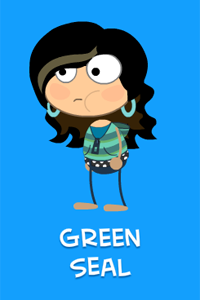 It’s been a year of milestones for Poptropica. 5 years, 30 Islands, and now this: 500,000,000 characters created. Wow. 500,000,000 Poptropicans created! That’s pretty big! What better way to celebrate that amazing thing than with something a little sweet? And I don’t think you’re going to find anything sweeter than this up-and-coming-island whose info page was recently released. So, like I’ve mentioned about a thousand times before, I’ve never read the book or seen the movies, so I have no idea what the storyline of Charlie and the Chocolate Factory actually is. But, if it’s anything like the description on the info page, then it sounds pretty cool. Here’s what the picture says: After years of silence, Willy Wonka’s magical chocolate factory is re-opening, and you’ve got a Golden Ticket. But when a group of misbehaving kids threaten to destroy Wonka’s candy creations, he needs you to save the day. 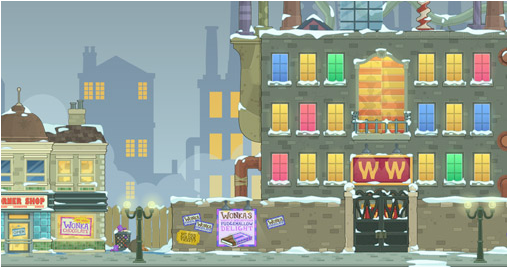 Prepare to untangle a confectionary conundrum that’s full of sweet treats and sticky situations! There are some also pictures on the info page. You can recognize parts of the pictures from the Daily Pop Sneak Peeks. Check them out! Both of those look pretty cool! There’s are also links to buy the book and the movie on the info page. As of right now, there isn’t a section about a Members-only bonus quest, so I don’t know if this is going to be the first island in a long time without one or if it’s just not up yet. I’ll keep checking back and I’ll let you know, though. If you want to see the info page for yourself, just click HERE to check it out! That about wraps up this really long post of mine! Hope you enjoyed it. Super Villain Island Is Out For Members! Super Villain is out for members! Are you ready to figure out what made the most infamous villains go bad? Ready to enter Binary Bard, Black Widow, Dr. Hare, and Captain Crawfish’s dreams? You better be. Cause it’s time to defeat some baddies! If you’re a member, it comes out for you on October 18th. That’s not too bad, though I’m sure it’s going to be really hard to wait! There are three new posts on the Creators’ Blog. Two of which I’m a little late posting. Sorry! 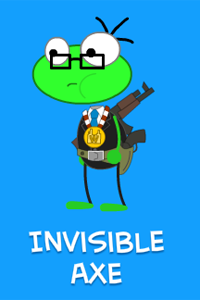 The first of those posts is about a certain Poptropican-in a bunny suit-who also happens to be a villain-guy. Four of Poptropica’s most dangerous villains will be returning in Super Villain Island, but you can play the Islands that made them famous right this second! 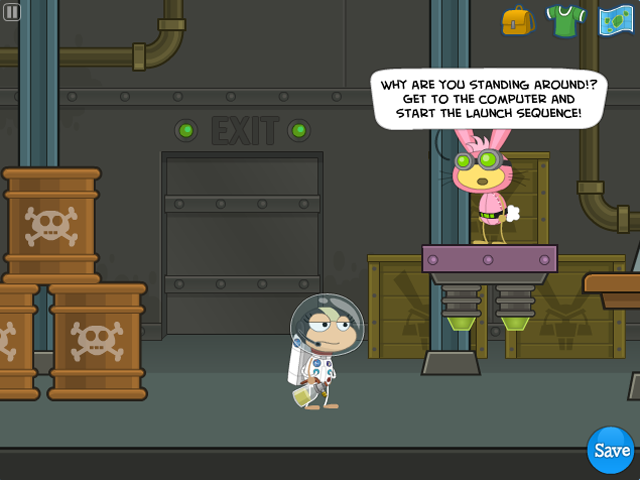 Want to find out how a mad scientist in a pink bunny suit held Poptropica in the fuzzy clutches of fear? 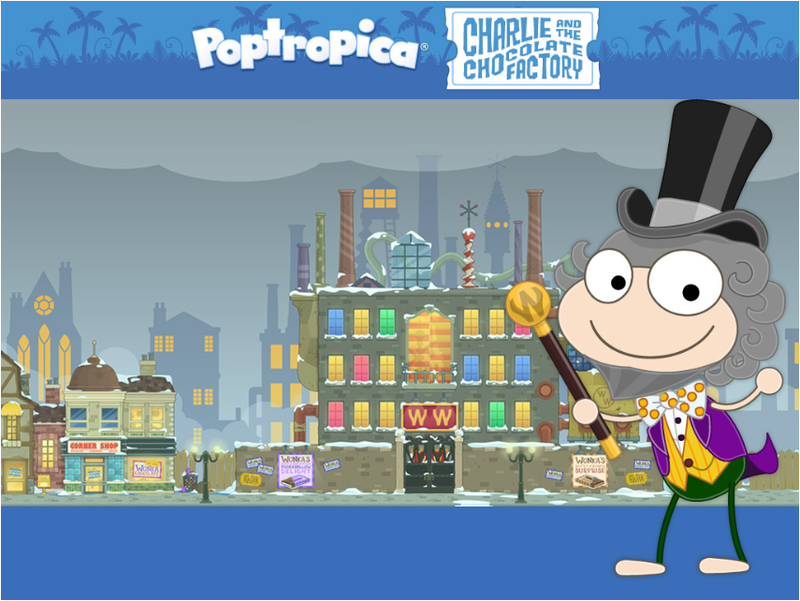 All you need to do is visit Poptropica and play 24 Carrot Island. This was one of our earliest Islands, and still one of the best. 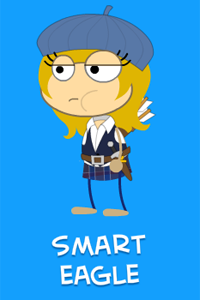 And, like most everything on Poptropica, it’s free to play! The second post from the Creators’ Blog is about this beautiful, blue, ball of a planet that we call home. 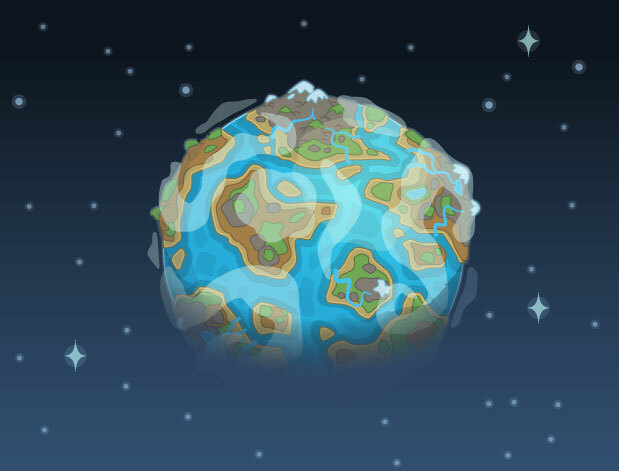 On the newest Poptropica Island, Lunar Colony, you can see this image of Poptropica when you’re on the surface of the moon. Pretty cool, huh? 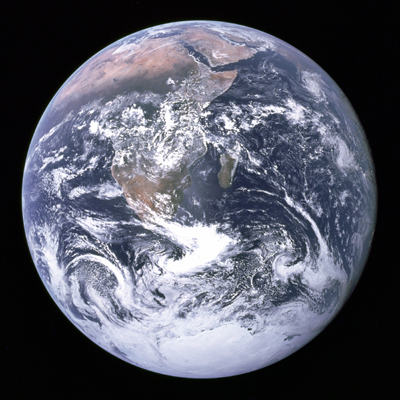 Did you know it’s a reference to a real photograph that was taken of earth? This photograph, “Earthrise,” was taken by the crew of the Apollo 8 mission. They were making the first-ever orbit of the moon, and when they came back around from the dark side, that was what they saw. 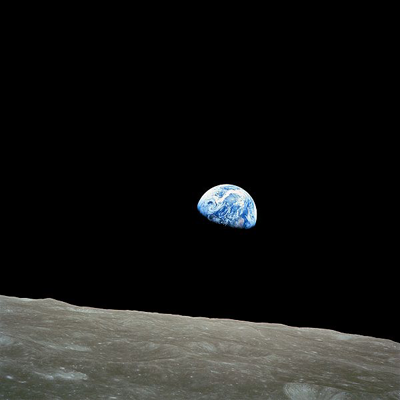 That’s not the only famous picture of earth. Take a look at this one. This is called the “Blue Marble,” and it was taken by the crew of the Apollo 17, on their way to what has turned out to be the final moon landing. You can see how it got the name. This picture is called “Pale Blue Dot.” Can you see our planet? It’s the tiny speck in the rightmost beam of light, a little bit less than halfway up the image. 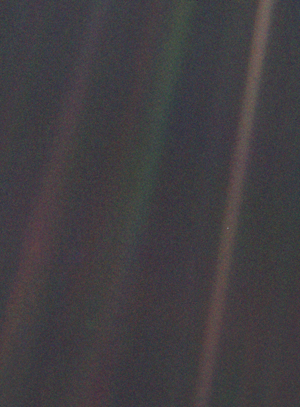 That’s what the earth looks like from a distance of 6 billion miles away! And, finally, the last post is about a certain island that everyone is waiting for. You wanted more information about Super Villain Island? You got it! 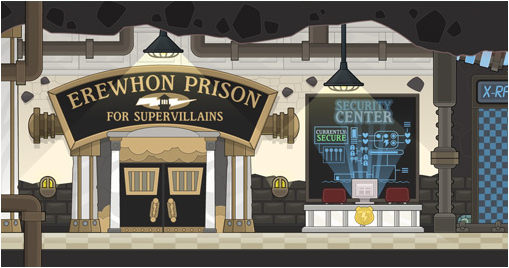 Our Super Villain Island info page is now available. 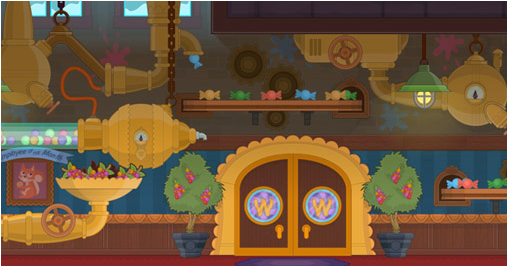 It’s your first look at some of the secrets that await you on the next Poptropica Island. Also, on that page you can download a free desktop wallpaper and printable poster. What are you waiting for? Check it out! I haven’t seen the info-page yet, so I’m really excited. Hang on while I check it out. Oh. My. God. I don’t know if I’m going to be able to survive this island, peeps. Let’s start with the pictures, cause that’s what’s at the top of the info-page. So, the pictures look pretty cool. I’m guessing that the… WOAH! Wait just one minute! Why is BETTY JETTY in the first picture? Is SHE going to be in this island?!?!?! Okay, that brings the villain count up to (possibly) five. This is getting worse and worse… I don’t think I’m going to survive this island. Wait, I said that in this post already. Oh well, it’s true. Okay, so now we’ve done the pictures. Let’s move on to the next thing…the description. Prepare yourselves, cause that’s mainly why I think I should start panicking about this island. 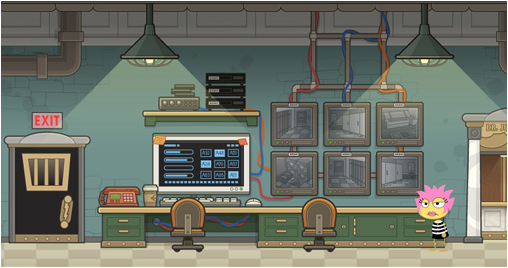 Here’s what the picture says: Deep inside a top-secret prison, four of Poptropica’s most infamous villains float in suspended animation. Your mission: to infiltrate their minds and extract the sources of their evil. Can you withstand a journey to the heart of darkness, or will their twisted dreams trap you forever? Okay. I need to stay calm. I thought that in this island these guys would come back, team up, and try to get revenge for you spoiling their plans. You’d beat them up yet again and that would be that. But, no. We have to go inside their minds, try to extract evil from it (whatever that’s supposed to mean), and possibly be destroyed by them…or their dreams. Not quite sure which one is worse… Yep. I am officially going to fail at this island. I’m so scared I’m thinking of crying right now. Okay, and if that’s not enough, check out the description of the Members-only Bonus Quest. Here’s what the picture says: The world may be safe, but another villain stirs in his slumber. 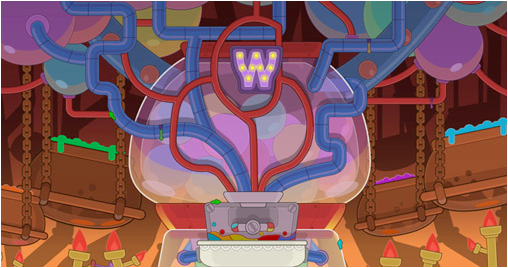 Do you dare enter the dream machine once more, and visit a nightmarish version of one of the most popular Poptropica islands? Okay, so that guy in the picture looks like a weird, messed-up version of your Poptropican in Lunar Colony. I hope that doesn’t mean that we have to go into a crazy version of Lunar Colony. Please, no! Aliens are weird enough for me, I don’t think I could stand more weirdness! Like every one of the more recent islands, this island that I’m definitely afraid of has Members only items. So, the Members only items are a Night Hare costume, Sleeping Powder power, and Evil Henchmen item. The Night Hare looks like a light-blue version of Dr. Hare’s bunny-suit. 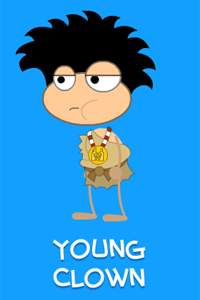 I’m guessing you can use the Sleeping Powder to put other Poptropicans around you to sleep. And the Evil Henchmen item looks like you can choose a follower from four things that represent each of the four super villains. A spider for Black Widow, a robot mouse for Binary Bard, a rabbit for Dr. Hare, and a crab for Captain Crawfish. The only other things on the info-page are a wallpaper and poster that are Super Villain Island-themed that you can download. They look pretty cool, so check them out. Well, I am scared to death of this island. I hope it’s not just me… That would be embarrassing… Hopefully they release this island soon, so I can go ahead and get it over with. 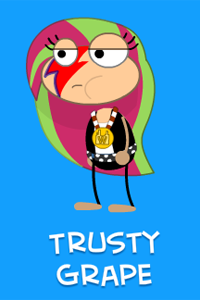 Poptropica is about to fall to pieces. First, we’re told that three of Poptropica’s worst villains are going to return. 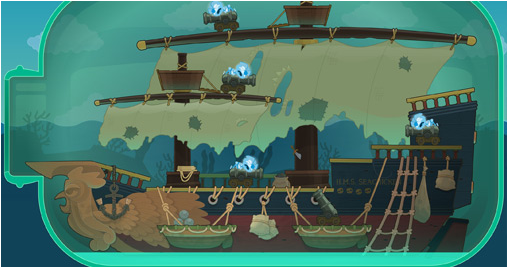 Then, we get shown a picture of some weirdo trying to erase a part of Skullduggery Island. 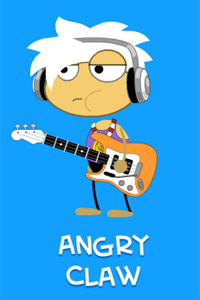 And, now, another one of Poptropica’s worst villains gets added to the list of all those who are returning. Did you think we would just go away quietly? In your dreams! We have big things planned, my friends. Big things. Don’t know what’s about to happen, but it sure doesn’t look good. You guys probably know about how the Creators are releasing posts about returning villains. 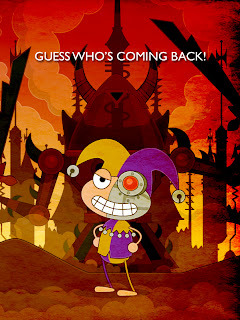 Well, they’ve done a post about another returning villain. This one is the one that you thought you got rid of forever when you abandoned him on an island in the middle of the ocean. But, like bad guys have the annoying habit of doing, he decided to come back and get revenge for spoiling his plans. A pirate can’t just sit around blogging all day, you know. Well, I don’t know you guys…I had enough trouble beating him the first time, I’m not sure if I can do it again. Guess we’ll just have to see.